Boy Scouts. Adventure is Waiting. Build Yours. Hey where are the adults? It’s pretty simple: Cub Scout dens and packs are led by adults; Scouts patrols and troops are led by the youth. In cub scouts Adults plan and conduct the meetings and promote advancement, teamwork, fun and character-building. I spent this week with 84 teenagers, 8 parents and 2 professional educators. I enjoyed my time with most of the teens and was impressed with a handful. The young men who impressed me were never late, packed great as we moved from hotel to hotel, called the adults by proper sir names, never complained as we walked miles and when the rain came they new what to do. On day 3 or 4 most found out I was a scout leader and they approached me to let me know they were scouts and several are Eagles. 3 scouts from3 units are in my assigned coed group of 8. They were proud and I was not surprised. In the Woodstock High School music program over 6 troops are represented and I see that hours of scout volunteer’s hours have paid off. What you do matters. Rank advancement in Scouting is not like rank advancement in Cubs .....And that’s by design. In Cub Scouting, advancement is grade based. The cubs rank up every year with their den all together in one big group. 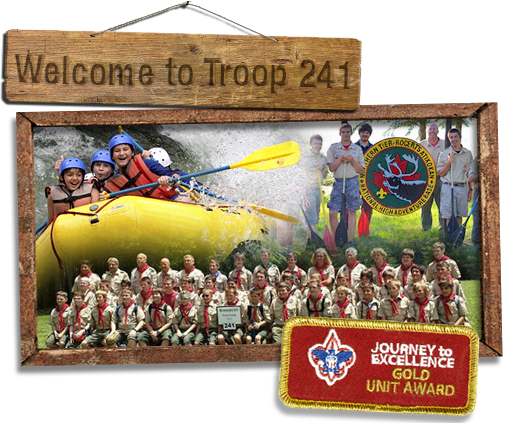 The activities are designed to offer age-appropriate fun and challenges as Cub Scouts progress through the program. This weekend I saw a man give up his Saturday morning to share his passion for geology. That rocked! I saw 6 scouts name their provisional patrol the “3 stooges” and help 2 Cub Scout packs who needed help camp. I saw a boy deliver a Citizenship in the community PowerPoint and when he got to the slide on the Frank C Mills courthouse he said “and I scout with Judge Mills!!!!”. I saw the invisible bench skit for the hundredth time and really did laugh out loud!!!!!! I watched a new TV show this week named "Whiskey Caviler". Its COOL. It has the FBI and CIA spying and doing cool things. This week the lead Good Guy was being peer pressured into doing something he knew was wrong. Guess what he said. “I am an Eagle Scout”. Several times throughout the show the other spies referenced the fact that he was doing the “right” thing by saying “you are such a boy scout”. There you have it. In 2019 that is STILL our brand. When you close you eyes and envision a “boy scout”. When you think about an “Eagle Scout”. When you think about our brand, these are the visions you want to have for your son and its our job to help him understand he wants these for himself. Just as we tried to make the Webelos Scouts and their parents feel welcome to join during their den visit to the troop, now we must they find ways to make them want to stay now that they have arrived. There is no better way to do this than to make sure they feel welcome. Boards of Review-Completed Scoutmaster Conference required to register.